That was the phrase that we all said, at least once a day. No matter what it was, Daddy would fix it or would offer advice on how to do it. He might get to it that day, or it might take a few weeks or months or years, but he would fix it, and always better than it was before. He would go to work all day and come home and work on everything that needed fixed when he got home. Sometimes it was stuff we broke, sometimes it was stuff he was building. He liked to take his time and make sure it was done perfectly, frequently stopping to take breaks to take a step back & stare at it, carefully planning out what he was going to do next. Which is why we are all still in shock and disbelief that he had to leave us so suddenly and so soon. The man who would plan everything from how many miles he got out of that last tank of gas he bought to exactly how many 2x4s he would need to finish building the camp in Tidioute. We are all completely shocked, devastated, broken and speechless. Just waiting and hoping that this is a dream and that he will come home from work, and fix everything. 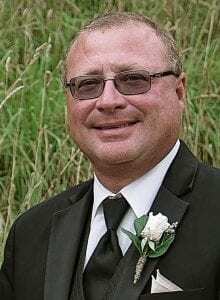 Eric A. Stofan, Sr. passed suddenly on August 21, 2018, Age 55. Eric was a resident of North Fayette Township and formerly of Rosslyn Farms, PA. Beloved husband of Mary Catherine (Lesniak) Stofan; Loving father of Mollie (Chris) Himes, Eric Jr. (Amanda), Catherine, Alex and Kristen Stofan; Son of Verna and the late Andrew P. Stofan; Brother of Lori (Gary) Roveson and Gary Stofan. Family and friends will gather at Holy Trinity Church 5718 Steubenville Pike Robinson Township, PA 15136 on Tuesday, August 28, 2018 at 9:45 for a 10:00 am Mass of Christian Burial. Interment in St. Columbkille Cemetery. Arrangements entrusted to the Joseph M. Somma Funeral Home, Robinson Twp. Mollie and family. I was very sad to hear of your dads passing. I hope that you will all get through this with God giving you the strength you need.?????? Stefan Family, I am so sorry for your loss. 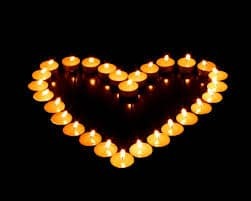 My heart goes out to you all and you will be in my thoughts and prayers as you go through this difficult time. Mollie, you & your entire family are in my prayers. It breaks my heart for all of you at this sudden loss. Look to God & he will help you through this. ?????? Eric was a good friend, co-worker and mentor to me the 13 years I worked at Kobold Instrumennts. Seemingly always in a good mood, even if he wasn't or if if he was having a busy day, he would give you the information or advice necessary, and then be on to his next task. Sure will miss him. He was a good friend, the nicest person to work with, and I will greatly miss him. My deepest sympathy to his family. Our thoughts and prayers are with your family during this difficult time. We are so sorry that you have to endure such sorrow. The Londino Family ? Mary Catherine and family My thoughts and prayers are with you all during this time and the time to follow. May the memories you all have shared keep him alive in your hearts. It’s terrible to hear about your loss and we express our deepest sympathy to you and your family. I worked with Eric for as long as he was at Kobold. I have been a distributor of Kobold for over 20 years and if I needed something I always asked by name for Eric. He was the sharpest there and always eager to help. He never forgot to respond and was always a joy to work with. He never missed a detail. He came down to Virginia to give a class for us and did a great job, everyone there enjoyed it. We had been talking about him taking another road trip to work with us again and I was looking forward to it. I'm sorry for the pain this loss this brings to Eric's family and coworkers and Kobold. God bless you all. Mollie, you and your family are in my thoughts and prayers during this difficult time. I send you all of my love ??. 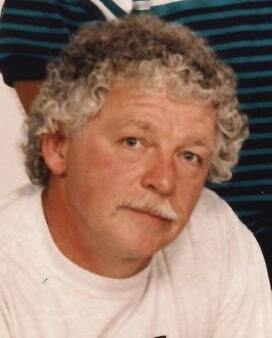 Mary Catherine& family..from my family to yours we wish to extend our deepest sympathies on the loss of your husband. May he rest in peace & hope you all find comfort in the Lord & all the beautiful memories he left behind. Mary Catherine, Kristen and family we are so very sorry for your loss. Your are in our thoughts and prayers. God Bless. Kimber, Nev and Hannah Waldorf. I’ve worked with Eric for 12 years at Kobold Instruments. Just the sweetest guy on the planet. He always greeted you w/ a smile & that great laugh of his. And nobody could talk to you more about process instrumentation longer, & more enthusiastically, than Eric Stofan. A great guy. I can’t believe he’s gone. It’s a lonelier place w/o him. My deepest sympathy to the Stofan family. Mary Catherine, I cried at your's and Eric's beautiful wedding. I cried again today,; a bright and shining light has gone out. Mollie I am so sorry for your loss. May God comfort you in your time of sorrow and help you find peace. That is very sad news. Our family is praying for your family. ?? RIP Eric. my condolences to the family. Eric and I are on the Drumline together in High School. It does not seem too long ago I was chatting with Mary Catherine at Roman Motor Parts while she was waiting for Eric to finish his work day. Fast forward to five children and several Suburbans later. I will sadly miss my friend, we will always be bonded in grease, fire and the value of 4-wheel steering. sorry for your loss. i know eric and his family for many years. still remember the business his family had. may eric rest in peace. I had the pleasure of working with Eric for 3 years at KOBOLD Instruments and can never remember him being in a bad mood. I am proud to call him a friend and a mentor. My thoughts, sympathies, and prayers are with the family. I worked with Eric for many years. He was an excellent engineer and a fun guy to share life stories with. I will miss him. To Eric Family, I just found out about Eric on Sunday Sept. 23, 2018. I have know idea how you are coping with the sudden loss of your husband, father, son and dear friends. I started praying and will continue to pray that you get thru this very sad time. Mary Catherine I would love to take you out for lunch, dinner or just coffee if you are up to it. I will give you a call soon. My telephone no. is 412-979-9550.